Truck Accident Kills Two in Reeves County | Juan Hernandez Law P.C. An early morning truck accident in Reeves County took the lives of two truckers. On Tuesday morning, April 15, 2014, the truckers traveled Highway 285, about 20 miles out of Pecos. A 2006 Kenworth truck driven by 33-year old Israel Verdin was northbound when it crossed the centerline and collided with a 2007 model Peterbilt truck driven by 41-year old Emiliano Guerrero Avery. Mr. Verdin was not wearing a seatbelt. Both men were pronounced dead at the accident scene. The collision between the two semi-trucks occurred at approximately 1:00 AM in the morning. What Caused the 18-Wheelers to Crash? 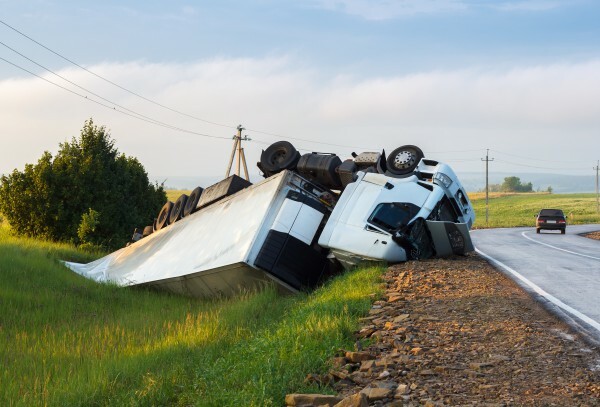 According to the National Highway Traffic Safety Administration (NHTSA) the number of large truck accidents in Texas soared between 2011 and 2012. While 432 people died in large truck accidents in 2011, more than 560 died the following year. The Federal Motor Carrier Safety Administration (FMSCA) revised hours of service (HOS) rules last year. It remains to be seen if the downshift in allowed driving hours has an impact on the number of large truck accidents caused by fatigue. In this accident, the drivers of both tractor-trailers were victims. Given the time of the accident, it is possible that fatigue played a role in the horrific crash. Following human sleep rhythms, truck and car accidents caused by drowsy driving often occur in the early morning hours and surprisingly, in the afternoon. Collisions involving large trucks often cause devastating injury. If you or a loved one suffers an injury in a truck accident in Dallas, talk to an experienced Dallas Personal Injury Lawyer.